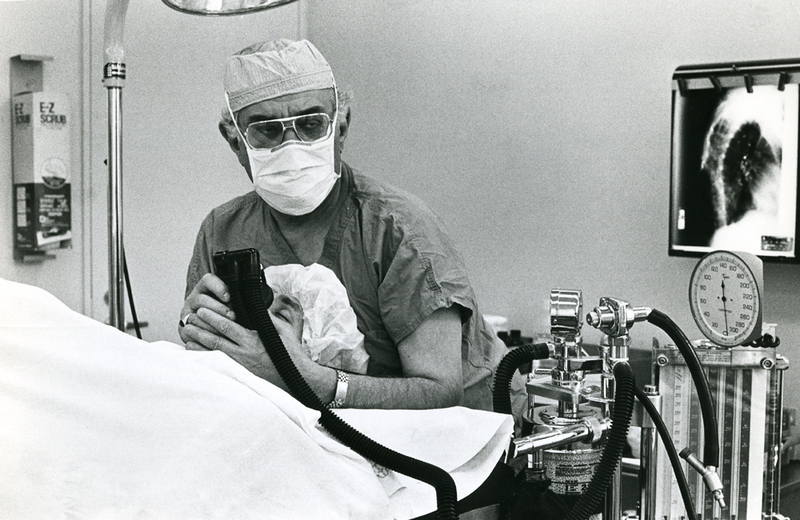 Max Sadove, MD (1914-1997), administers anesthesia during surgery in 1982. Max Samuel Sadove, MD, began his career at Rush as chairman of the Department of Anesthesiology in 1970. After he retired as chair in 1979, he continued as an instructor and researcher at the Rush Pain Center until 1988. He authored 18 books and performed extensive research on the efficacy of Chinese treatments for pain management. This entry was posted in Rush Archives, Rush University and tagged anesthesiology, Max S. Sadove. Bookmark the permalink.